This Fintech startup is combining blockchain technology, with traditional financial systems providing a state-of-the-art wallet and exchange; offering an all-in-one service for both crypto and fiat currency. Wirex was originally known as E-coin, a virtual card provider Founded by Pavel Mateev and Dmitry Lazarichev, the company is based in London, with offices also situated in Japan and Ukraine. Since expanding its services, the company rebranded and changed the name in 2015, as well as introducing Bitcoin debit cards. Unlike similar companies in the space, Wirex did not raise funding through an ICO; the project is privately owned and backed by SBI Group, a small group of fintech investors that are an indirect subsidiary of a large Japanese financial institution, Softbank. `Wirex offers a choice of several wallets that are multi-signature, cold storage and suitable for storing both crypto and fiat currency. You can use Wirex wallets to buy, store and manage both crypto and fiat money. Funds can be added to a Wirex wallet via a debit or credit card, or a bank transfer. Wirex offer wallets that support a variety of popular cryptocurrencies. The Wirex card is currently the world’s only Visa card that allows users to convert and spend cryptocurrencies just as easy as it is to spend fiat money. It can be used for Bitcoin, Ethereum, WAVES, and XRP. For Fiat currencies, the card allows you to spend in shops, bars, and restaurants as well as withdraw from ATM’s that accept Visa. There is also the choice of a GBP, EUR or USD card (or even all three!). Exchange rates are described on their website as ‘bank-beating’ rates, with no hidden fees or commission. On top of that, users can easily track spending and manage budgets in-app, with instant alerts. The card is PCI-DSS level 1 certified with 3-D secure enrolled. If you want to spend your cryptocurrencies, you can connect your card to your cryptocurrency wallet and instantly convert them to fiat ready to spend with ease, to top it off Wirex give Cryptoback rewards every time you use your Wirex Visa card in stores. Wirex CEO Pavel Mateev announced via Twitter in August 2018 that Wirex had become the third crypto-friendly company in the world to be granted an FCA e-money license. Biometric and device verification which can protect against unfamiliar devices being used to access users accounts. SSL encryptions used to encrypt all documents and personal data during transit and rest using 256-bit AES. 2-factor authentication which provides extra protection against fraud and other illicit activity. Multi-signature wallets are used to store 99% of all users’ funds. Isolated and multi-signature cold-storage wallets can help ensure that nobody else can access users’ funds. Wirex is verified by Visa, meaning even if a Wirex card is stolen or cloned, there would still be less risk of unauthorized payments because of 3-D secure protection. Overall Wirex takes compliance with regulations seriously and makes them a priority alongside security. This fee will vary depending on what currency you are using. There are also small charges for withdrawals from an ATM. Making purchases using your Wirex card is also free in most countries, in the US there is a $0.28 charge. There is a help page on the website that gives a full breakdown of fees and limits. Overall Wirex fees are quite low compared to some competitors and several of their services are free. Their website states that there are no transaction fees and no commission, they intend on keeping all fees involved as low as possible. The Wirex website is professionally presented and easily navigated. There are several help pages answering common questions and giving tutorials on how to use the services. 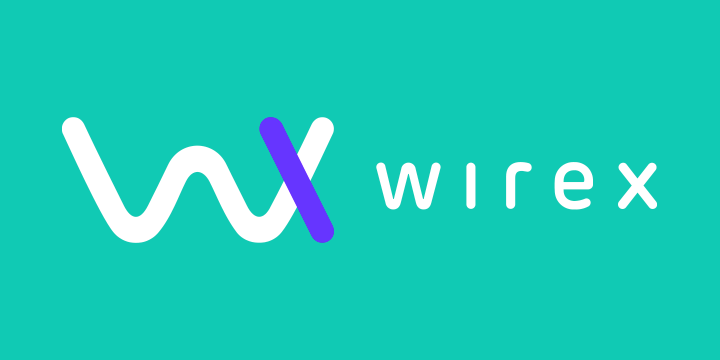 There is also a contact section where there is the option of a customer helpline where you collect a ticket and wait for a response; as well as the community help service https://community.wirexapp.com/ or their Telegram support chat. There have also been good reviews on Trustpilot regarding the company’s excellent customer service. Currently, Wirex is also offering their refer-a-friend programme to Wirex users in the EEA; A $10 reward is available for referrals. Every in-store purchase earns users 0.5% in Bitcoin. The earnings may be small but earning Bitcoin from spending is a bonus in itself and the volatility could mean you end up with a reasonable amount building up over a long period of time. Users can purchase Bitcoin and altcoins with high limits and good exchange rates. No paperwork required to get started. You can instantly send money anywhere in the world. Customer reviews and internet chat have had a mixed response to Wirex. From what I have gathered in my research majority of negative responses were old and could be seen as teething problems, the team has noticeably worked on improving any problems, and they have had some great reviews on Trustpilot as well with a score 7.4 out of 10 and a total of 666 reviews. There isn’t a live chat available on the website. Firstly, here’s a list of all the countries that Wirex is currently supported, they are also continuously extending the list as soon as they complete all local regulatory compliance procedures for each country. Once you have found out if an account is available in your country, simply click the “open free account” icon. You then provide your full name, email address and a password to register. Wirex will send you an email verification link. After clicking the link for email verification you will then need to accept terms and conditions create a memorable word and select your country of residence. As for creating an initial account that’s it, you’re set up. From this point forward you can access the Wirex portal, but if you want to order a plastic Wirex Visa card, you will need to verify who you are. If you only intend on using Wirex as a Bitcoin wallet then verification is not compulsory but is recommended. For this verification process, you’ll need a mobile device, as well as two documents to confirm your account details. You can verify your account via your personal profile. For the verification process to be complete you also need to add your date of birth, phone number, and residential address on your profile. There is a help icon accessible throughout the verification process. Once you’ve opened your free account, it’s really simple to purchase crypto or fiat from anywhere around the world. First, you will need to put money into your Wirex account. You can use a debit/credit card or bank transfer. All you need to do now is exchange your funds for your choice of Bitcoin, XRP, Ethereum, Litecoin, WAVES, GBP, EUR or USD; you do this via the Wirex mobile app or desktop. The fact that they have been granted an FCA e-money license is another small step towards mass adoption of cryptocurrencies and forming the bridge between traditional financial systems and new crypto-friendly systems. While some companies in the space were focusing largely on their ICO, Wirex were busy building their working product; being a privately owned company definitely sets them apart from the crowd, the innovative in-house team have been able to put all their focus into building their fully functioning product providing the crypto community with a much-needed service. Looking at customers responses, the majority had positive feedback for the company, the few that didn’t pretty much all had the same problem of having access to their account suspended or frozen. However, the terms and conditions do give in-depth information of what circumstances they would freeze access to users accounts and it’s likely that it’s just some type of security precaution if you be sure to read the terms and conditions properly and verify everything required you could probably avoid that happening. Taking all of the above into consideration, I would conclude that Wirex is a great choice of exchange for people who want to spend their Bitcoin with ease and even avoid some of the downfalls of traditional banking.